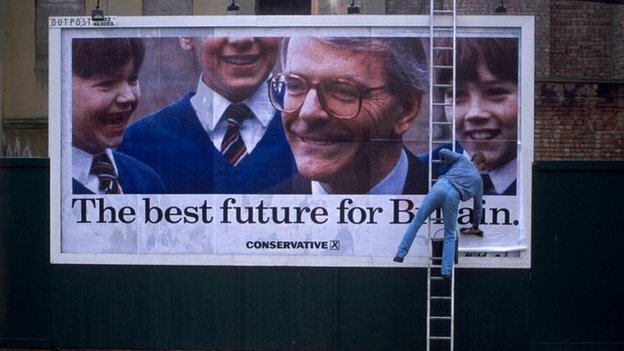 John Major should be a walking, talking advertisement condemning Britain’s continued dysfunctional relationship with the European Union – the man who signed Britain up to the Maastricht Treaty and did so much to drag us deeper into the mire of political union. But thanks entirely to the official Vote Leave campaign, John Major managed to sail through his appearance on the Andrew Marr Show today virtually unscathed, passing himself off as the wise, measured older statesman he so clearly wishes to be. Boris Johnson and his fellow Brexit campaigners are running a “deceitful” campaign which is “depressing and awful”, former Prime Minister Sir John Major said today. In a no-holds-barred interview this morning, the ex-Tory leader repeatedly attacked both the tactics and arguments used by Vote Leave as it tried to persuade Brits to quit the EU in the June 23 referendum. He also mocked the notion that leaving the EU would benefit the NHS – one of Vote Leave’s primary claims – as he accused those at the top of the anti-EU group of wanting to privatise the health system. Speaking on The Andrew Marr Show on BBC One this morning, Sir John said: “Throughout the whole of my political life people have regarded me of being guilty of understatement. “I am angry at the way the British people are being misled. This is much more important than a general election. This is going to affect people, their livelihoods, their future, for a very long time to come and if they are given honest, straightforward facts and they decide to leave, then that is the decision the British people take. “But if they decide to leave on the basis of inaccurate information, inaccurate information known to be inaccurate, then I regard that as deceitful. Now, I maybe wrong, but that is how I see their campaign. And who can really disagree with these accusations? Vote Leave continue to brazenly peddle their £350 million lie. 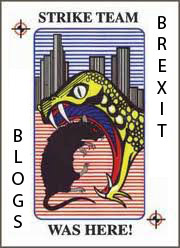 They continue – despite being packed to the rafters with people who (quite rightly) question the ongoing viability of the current NHS model – to implausibly suggest that they will plow nearly all of the savings from no longer making EU contributions back into the same unreformed health service. And now, having utterly failed to move the needle on the economic argument with their oh-so-bright lack of a Brexit plan, they are doubling down on the immigration argument. Which is a surefire way to get 40% of people to go charging to the polling booths to vote for Brexit, while alienating the moderate 20% who will take fright and ensure that Britain remains stuck in the European Union. Ordinarily, this intervention by John Major might be seen as the last hurrah of a rather bitter man, eager to get revenge on people (like Iain Duncan Smith) whom he views as his disloyal tormentors, and dismissed as such. But every charge levelled by John Major at Vote Leave has an awkward ring of truth to it. Britain doesn’t pay £350 million a week to the EU. Boris Johnson, the clown in charge, really didn’t even make up his mind which way he was leaning until the very last minute, instantly undermining every one of his criticisms of the EU. In fact, every major attack line currently being used against Brexit side could have been easily avoided if only the children running the official Leave campaign had charted and executed a better, more grown up campaign strategy – one based on an actual plan for achieving Brexit. The absence of a plan has been a liability throughout the entire campaign. Had there been one published at an early stage it would have deprived the “remains” of one of their most powerful memes and thereby reshaped the entire campaign. We would by now have spent many months talking about detail and the very specific direction of travel in which Flexcit takes us. At this late stage of the campaign, those arguing for Brexit should not have to endure the indignity of being lectured to by so hapless a leader as Sir John Major. We could be winning this referendum based on a plan which nullifies every single one of the Remain campaign’s economic scaremongering tactics. But here we are. And the latest poll showing a slight lead for Leave, though quite unsurprising for this point in the campaign and crucially nowhere near 50%+1, will only encourage Vote Leave to double down on their present strategy.